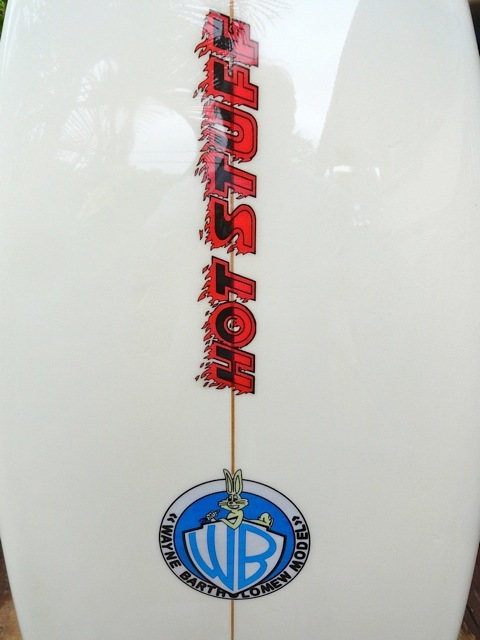 Randy Rarrick from Hawaii Surfing Promotions has sent us pics of Rabbit Bratholemew's board that Bob Hurley shaped for him, that Rabbit rode in the 1982 OP Pro in California. Randy fully restored the board for Bob who presented it to Rabbit at this year's US Open. So the board went full circle from Bob to Rabbit, back to Bob and finally, back to Rabbit! 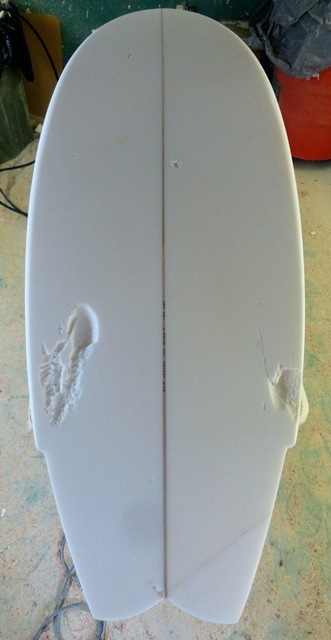 This shows you why it's worth restoring important iconic boards! 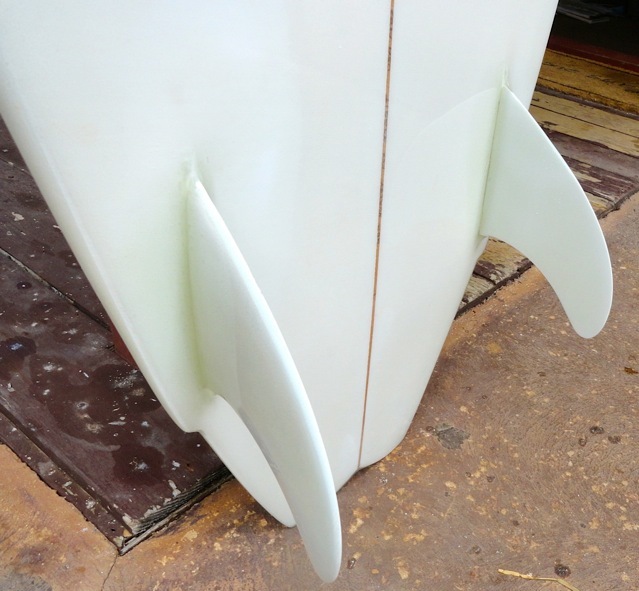 Randy writes" The thing that makes my restorations different, is I was there, made and worked on the boards and have seen nearly 50 years of history unfold before me. So, my motivation is not to just try fix something to make a buck, but rather, preserve what history has presented us. Most times, I'm lucky if I break even on the work I do on these. I try to make them as close to original as possible. Or, if I have to modify the color scheme, or do something to save them, I usually try to be "era correct" in the color scheme, or sticker placement and try not to deviate too much from the original. 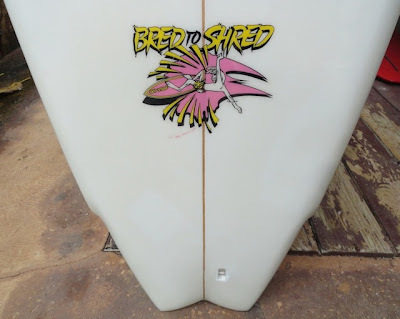 Case in point, was I only had one "bred to shred" laminate that I'd gotten from Allan Byrne, so I used that in place of the "Hot Stuff" laminate that was originally on Rab's board. But, it was his logo, so it was OK. So, the goal is try to present them in as original condition as possible and/or present them in such a way that would of been acceptable when made new". Bob and Rabbit with Hurley replica of the actual board above.